Grab your caddies and your tees – the Genesis Open returns to Los Angeles this week! 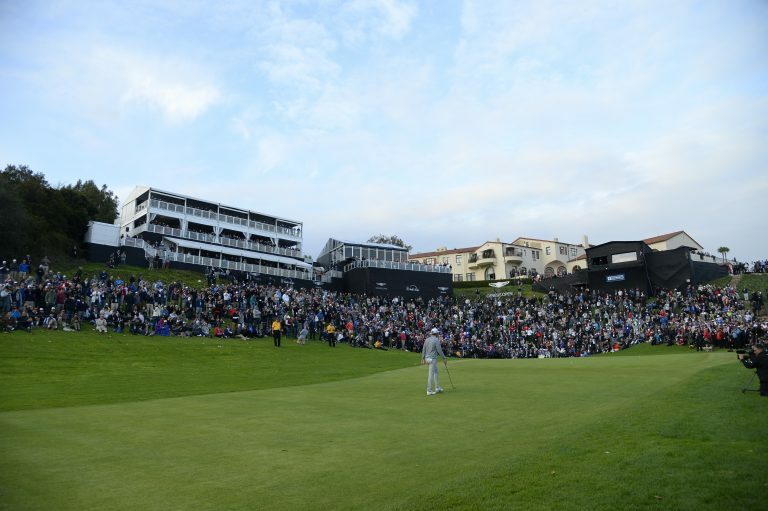 Experience the tournament at one of the world’s most historic golf venues, The Riviera Country Club in Pacific Palisades, this Wednesday, Feb. 14 through Sunday, Feb. 18. Watch Tiger Woods as he returns to Riviera after nearly 10 years, along with some of the world’s best golfers including Dustin Johnson, Rory McIlroy and more! The week-long event will also feature curated food and craft drinks with several new guest experiences. If planning to attend the tournament, Go Metro to avoid traffic and parking. Show your TAP card to save 10% on any one-day ticket. To get there, take the Expo Line to Downtown Santa Monica and walk to the end of the Third Street Promenade. Then catch the free tournament shuttle on Wilshire Blvd. Shuttles run Wednesday through Friday from 6 a.m. until 7 p.m. and from 7:30 a.m. to 5 p.m. on Saturday and Sunday. Round-trip fare is $3.50 stored value + $1 for a reusable TAP card. You should also mention another large sport-related event in Downtown L.A. this weekend. The NBA All-Star will be in town with a variety of events at the Staples Center close to the Blue/Expo Lines.